HAVE YOU EVER met a foreign political leader? HYE wished to be in your favourite franchise's universe? Have you ever wanted to be the main character in an 1800's steampunk novel? Nah, I'd be happy being a sidekick, though. Several times. I guess you could say the situation "stung" XD. Have you ever wanted to be the person who set the Guinness world record for eating the most applesauce in one day? No, maybe for apple pie ... in my misspent youth, of course. There was an apple orchard not far from us. Have you ever sewn an item of clothing, even repairing1 counts. Hm, yes, several times. I applied patches to my jeans on several occasions. It wasn't great sewing, but it did the job. No, I don't like cotton candy but every so often, I'll have a pound of potato wedges from the Vons deli for lunch on weekends. Have you ever watched Criminal Minds? Off and on, yeah ... Not hooked on it but it's passable. Have you ever kept a pet that you caught in the wild? Nope, unless you count catching Pokemon. Have you ever walked out on a movie? Yeah. It was a Leonardo DeCaprio thing called, I think, "Meet Joe Black". It waaaassss soooooo bad that about midway through it that the horrible though deeper into my brain that, maybe, you really could be BORED TO DEATH ! So I didn't walk out. I ran. I've fallen asleep in plenty, too. Was is the largest number of things you've ever collected as a collector of anything when you were a child? Technically, you’re supposed to frame your question in the form of “have you ever,”but the answer is Transformers. I still collect them to this day, though I haven’t been able to get any new ones lately due to money issues. Have you ever struggled to find a good avatar that the website would accept? I went through twenty today, none of which would fit either due to image size or forum size, so I’m stuck with my avatar of a shiny Mightyena. No, resizing images isn't that hard. I'd suggest Irfan View for easy resizing (and much more). Have you ever made a new pot of tea/coffee late at night when you should have better went to bed instead? Yeah ... Just did ... Pot of Green Mountain Vermont Country Blend. I drink a lot of coffee, I'm afraid. Life is like a rollercoaster, sure there's ups and downs, but you may find that it can throw you for a loop! HYE put on something to cook, get totally engrossed in something away from the kitchen, heard the timer go off and not actually go get the food because you were wanting to see what was going to happen with the thing you're engrossed in? Have you ever stuck some ramen in the microwave, and forgot to put water in it? No, but I did stick a pie slice into a microwave without realizing there was also ice cream in the dish. Eeeew! Did you ever go outside on a rainy day to discover holes in your footwear? Let's say, I never did that with the intention to find holes... But I have found them anyway. Have you ever been on another continent? Have you ever listened to the same song over and over again for hours? Not exactly, but I sometimes would play an album over and over and over. One time I lost a nail cutters and found it but by that time, I already bought a few one. Have you ever been to Vegas? Passed through a couple of times and overnighted twice to fly out. Have you ever been to Toronto? Nope. Never been to Canada. Have you ever played bocce ball? Yes. Driven through Nebraska a couple of times and spent a week at Offut Air Base. Have you ever had to eat something you were sure you'd hate but turned out that you liked it? HYE listened to foreign themes songs for your favorite shows, and found yourself liking them a lot more than the version you got? Yes. The Japanese Digimon theme song "Butterfly" is a million times better than the English theme song. 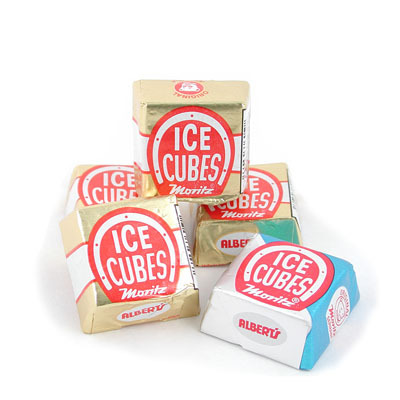 Have you ever eaten Moritz Ice Cubes? Yeah, but I can't remember where or when. Have you ever raised chickens? Yes, two seasons worth. We are about to have ours primed for winter. And by that, I mean chopping their heads off. Have you ever revisited a place you went as a child, but forgot about for years before finally finding it again? Key West, Florida ... DAD served there in the Navy and I'd forgotten the long bridge spans we drove over. Have you ever found a fossil? Nope. Have you ever visited Washington? (The state, not the Capital. I'm currently there on vacation). Yeah, a week in Seattle and then east to Spokane en route to Wisconsin. Great trip, great town! Have you ever been on stage on a play or a musical? Back in elementary school I was. HYE wondered why no one was responding to your posts, only to remember it’s a major holiday? Yeah, but instead of holiday lulls, I've usually assumed potential responders were stunned by the stupidity of my comments. HYE snuck into a theatre or show and escaped detection? HYE looked at something on your shelf and gone "why in the world do i still have that thing?" All month ... I'm preparing to move. HYE done community service in an area you had no experience? No. Have you ever had a sleep paralysis episode before? Have you ever participated in a bicycle race?